Public Transport in Wellington is efficient, reliable and affordable. The main way of getting about is by bus. The primary network runs north to south, starting at the Railway Station, and taking in Lambton Quay, Willis Street, Mercer Street, Civic Square, Cuba Street, Manners Street and Courtenay Place. You can save money by buying a 'Snapper' travelcard, or a strip of 10-trip tickets. Buses also operate well out of the city, and are priced zonally. 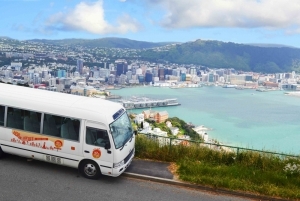 Our guide to Wellington buses include the sightseeing bus tours, buses to and from the airport and the city buses. NZ Bus operate the fleet of over 220 bright yellow 'GOWellington' buses throughout the city centre. The fleet includes the Trolley Buses that run off the overhead wires.